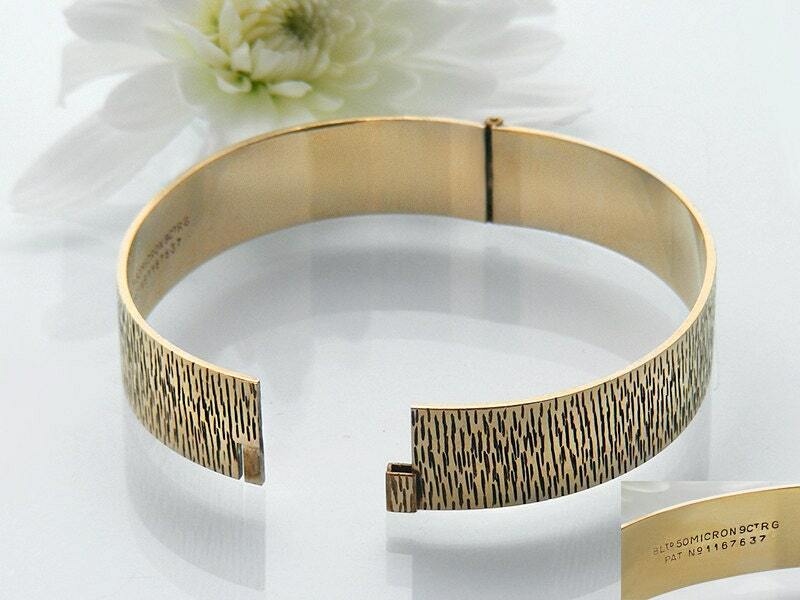 A 9ct rolled gold hinged bangle with a softly textured and polished bark pattern. 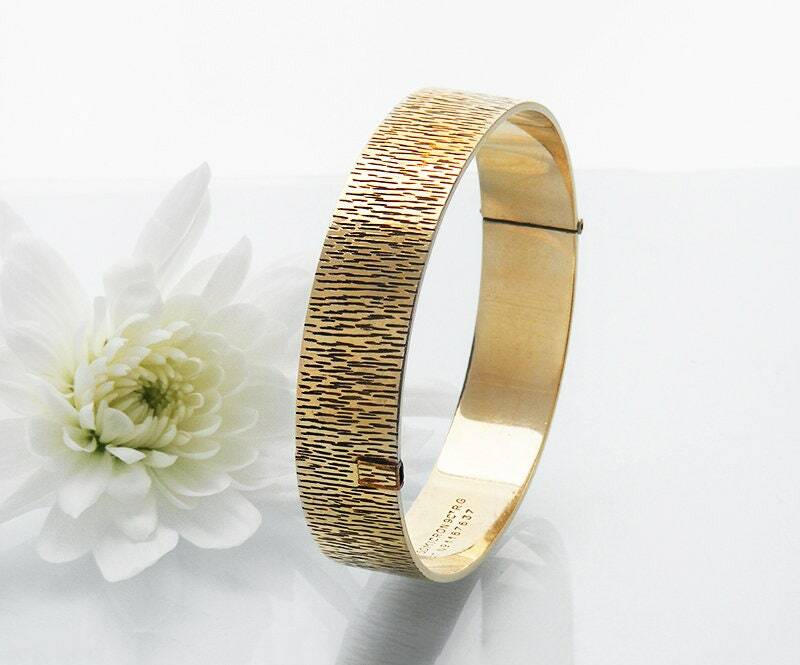 The modernist design bracelet is very tactile and beautifully designed with a clasp that allows the pattern to continue around the band. Of English heritage, the bangle has the makers mark 'B Ltd' and the hallmark '50 micron 9ct RG' and a patent number. 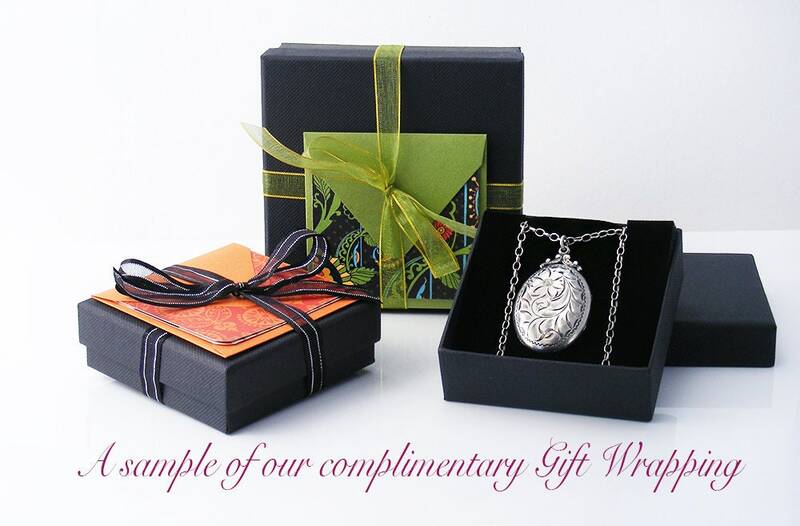 The patented clasp makes the bracelet very easy to put on and take off and it is superbly comfortable to wear. 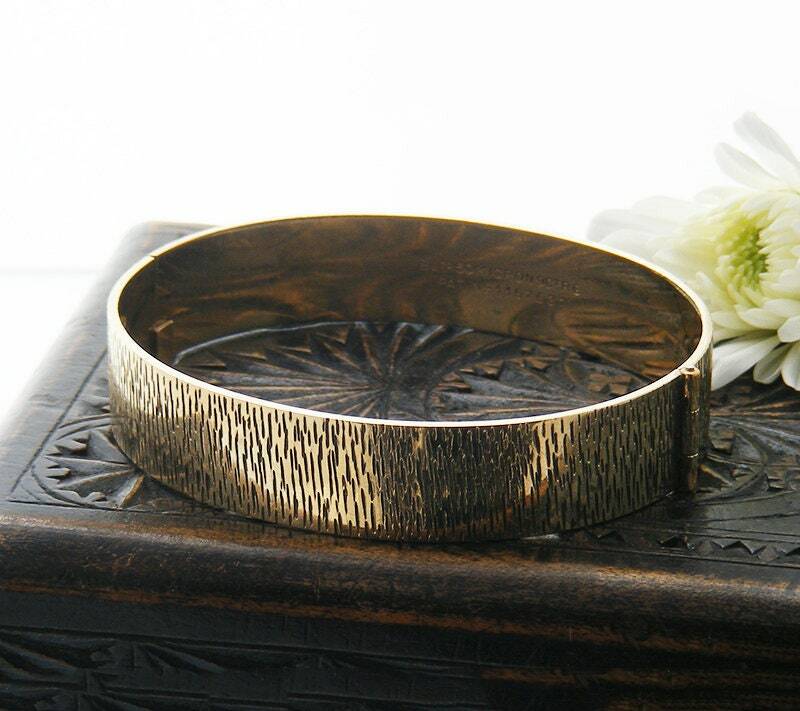 Inner diameters: 6 x 5.4cm (slightly oval in shape so that the cuff does not turn on the wrist). Condition: Very good. Some very light surface scuffing on the inside but no dings or scratches. The hinge and clasp mechanism are working perfectly. 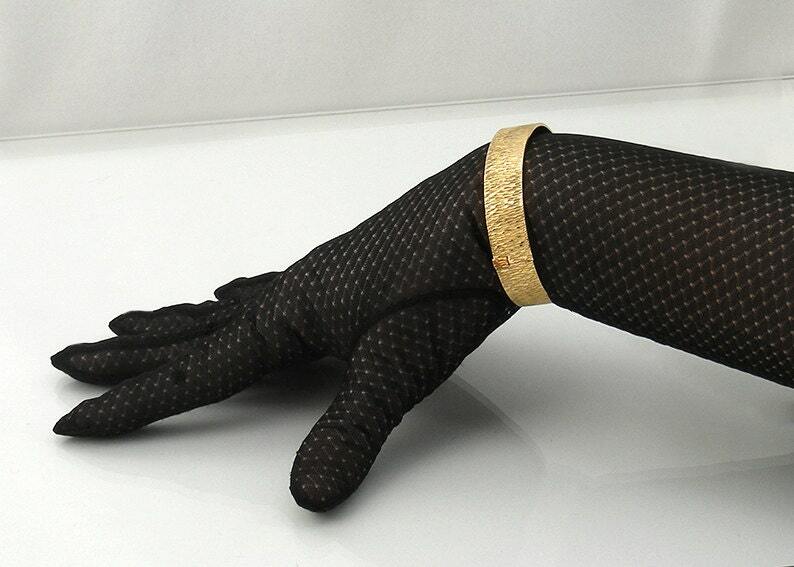 A marvellous piece in the modernist style from the 1960s, elegant and lovely on the arm.